Proctors is committed to reducing the impact we have on the grid, the neighborhood and the planet as substantially as we can, and we consider new ways to accomplish that on a continuous basis. We are not yet “green” in the sense that we have no effect on the environment or that we are self sustaining, but we are getting greener all the time. A central heating/cooling and electric generation facility—Marquee Power—that, while using natural gas, reduces our carbon footprint over 46 pounds every hour over traditional methods. This plant, while supplying electricity to Proctors, uses the waste heat from that generation as well as traditional boilers to supply hot and cold water to a number of neighboring businesses for institutional heating and cooling. 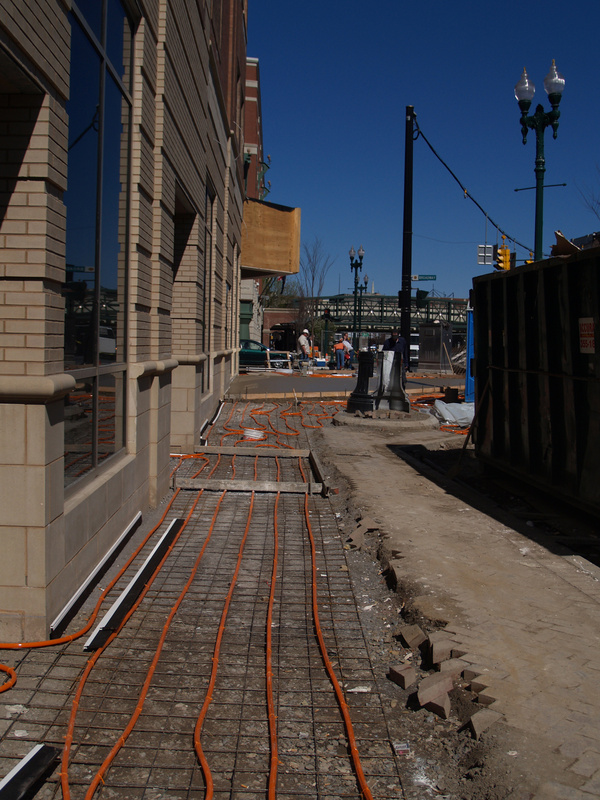 By this method, these users add no additional carbon to the environment, reduce their operating costs and helping support the theatre’s power plant. Paper and cardboard recycling happens throughout the property, from administrative offices to reuse and subsequent recycling of show programs. Recycling containers are in all public spaces. Glass and plastic beverage containers are recycled or deposited. We serve many products from wine to soda to water. Not only do we have public recycling bins for these, our housekeeping staff picks through the waste bins to separate bottles and other containers. We use, whenever possible, recycled papers for printing, especially for our larger run marketing publications. 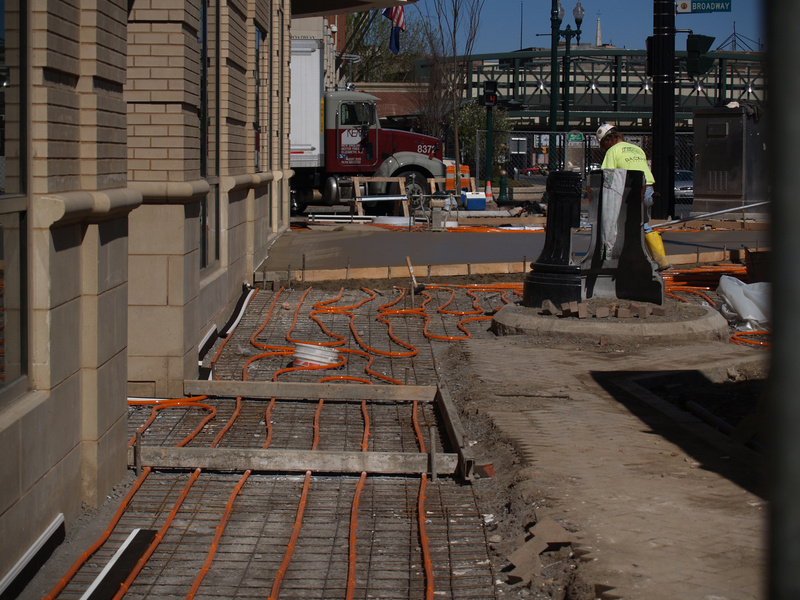 We have established a snow melt zone on the sidewalks around our block, using Marquee Power heat to keep public paths safe. While this consumes some energy from the plant, it eliminates the need for two-cycle snowblowers, and chemical/salt applications to the sidewalks, while reducing risks for slipping and falling by our neighbors and patrons. In the Delack Guild Room and at select bars, we serve in glass that is traditionally cleaned. In the theatre, we serve beer and wine in glasses that look like oil-based plastic, but are, in fact, cornstarch based compostable products that are guaranteed to decompose, even in covered landfills. Our 2006 renovation included low power ballasts; slow starts for all electric motors; and carbon dioxide sensors in all smaller rooms, creating “smart” rooms that know when to turn from standby temperatures to operating temperatures based on occupancy. We renovated our two marquees to use specially designed LED lights, making an enormous electric load reduction, and we utilized LED technology for a 40-foot sign on the top of our stagehouse (drawing for lighting only 15 amps). We now use LED or high voltage fluorescent lighting in all public spaces. We have redesigned our web site to use a black background, which reduces electric power consumption for all visitors to the site. We invite our audience to recycle playbills at their discretion, and supply specific containers for this purpose. We have backstage recycling centers so that road shows have the opportunity to recycle as well. 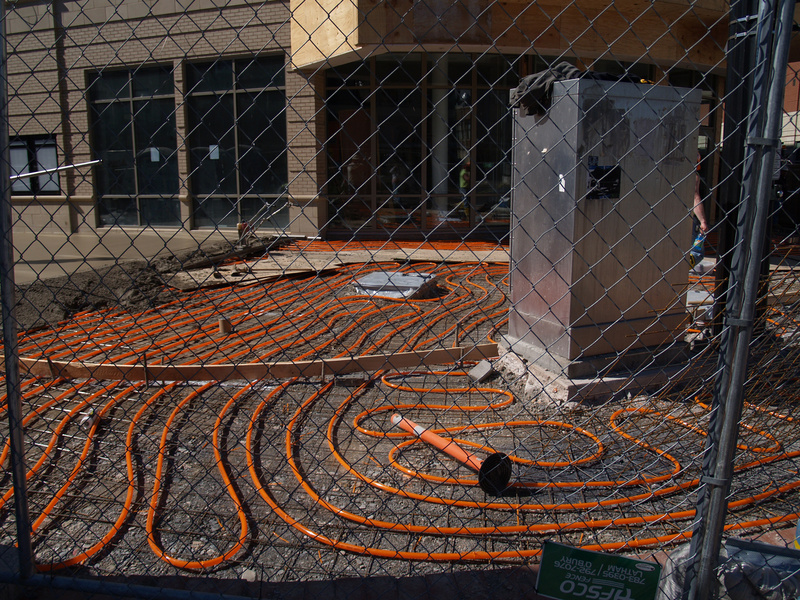 Learn more about Marquee Power, a co-op for heating/cooling energy.